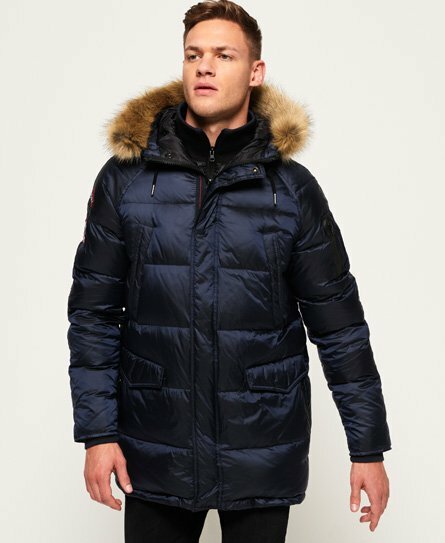 Superdry men’s down SDX parka jacket. Keep the cold out in this parka-style down jacket, with a 90/10 premium duck down filling and very high fill power rating this is the perfect winter jacket. This jacket features a toggle adjustable hood with a removable faux fur trim, a double layer zip and popper fastening and six front pockets, all with warm, fleece lining. The quilted parka-style jacket also features pocket detailing on one arm, a single internal pocket and is finished with applique Superdry logo badges on the sleeve.